Even though “fall back” time gives us an extra hour (for 2016, the date is Nov. 6), when we move our clocks back the additional 60 minutes can have a number of health consequences. Most obvious is the disturbance to our sleep patterns, and the havoc that can wreak with our routine and our health. Inconsistent sleep can lead to drowsiness and grumpiness, experts say – and that it turn can cause everything from nodding off at the wheel or in the office to drinking unhealthy beverages to keep ourselves alert. Potentially serious conditions like sleep apnea may also worsen. Another hazard of fall-back time: cluster headaches. The National Institute of Neurological Disorders and Stroke calls this type of headache “the most severe type of primary headache.” The NISD says cluster headaches – characterized by one to three clusters per day – with two cluster periods per year, most often in the fall and the spring, when the clocks change. They can often be mistaken for allergies, according to the NISD. Additionally, longer periods of darkness may lead to Seasonal Affective Disorder (SAD), a kind of depression that occurs during seasons with shorter days. Winter depression, as it is sometimes called, has many symptoms similar to clinical depression, including low energy; feeling sluggish; weight gain; and a craving for carbohydrates. Why are there so many ill effects from a change in time? Sleep experts say that even an hour’s difference in routine can affect neurotransmitters such as serotonin and hormones like melatonin, which helps regular the body’s circadian cycle. The circadian cycle, according to the University of Maryland Medical Center, is an internal 24-hour “clock” that plays a critical role in when we fall asleep and when we wake up. The levels of melatonin, which helps us fall asleep may then produce a higher than usual level in the morning, causing drowsiness. Melatonin, the “sleep hormone,” produces more than usual in the morning, causing drowsiness. But there are steps you can take to manage all these uncomfortable effects. According to the Mayo Clinic, you can deal with SAD by making your environment sunnier. Open window shades, trim trees so that they’re not blocking sunlight. You should also try to go outside for longer periods while the sun is shining; Mayo recommends taking a walk or sitting to soak up the rays. Light therapy is also a possibility. A box with a special light duplicates outside light. However, Mayo cautions, talk to your doctor before getting a light box. There are different strengths of light, and people with some medical conditions, including bipolar disorder, shouldn’t use this technique. You can minimize the effect of cluster headaches, experts say, by maintaining a regular sleep schedule throughout the year. Additionally, you should avoid smoking; drink alcohol only in moderation and avoid foods that can trigger headaches. These include wind and packaged meats such as bacon, which contains nitrites. If your headaches don’t respond to lifestyle changes, check with your doctor about possible medications that can make you more comfortable. And just as important, keep your regular schedule. 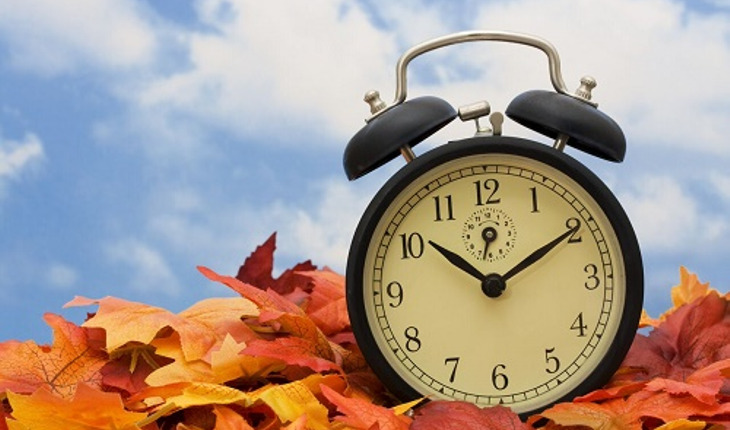 Don’t give into the temptation to stay up an extra hour this November just because you can. Sleeping the same number of hours, no matter what time of year it is, will help keep you refreshed for every season!